What's better than a wallet case? A wallet case with your photo printed all around. Choose an image that you love and upload it into our editor. Custom cases are the new way to go - get creative! No longer have to worry about your wallet. Are you heading off on holiday this summer and don’t feel like taking your wallet everywhere? The Samsung Galaxy S7 wallet case is the perfect solution for that! While you always have to have cash and important credit cards with you, that does not mean that you have to carry around your heavy wallet around all day. The Samsung Galaxy S7 wallet case has pockets to store your cards and cash, while simultaneously protecting your valuable phone from scratches and bumps. Of course protection should not come at the expense of functionality! There are strategically placed openings in your phone so you can charge your phone and listen to music without any restrictions! 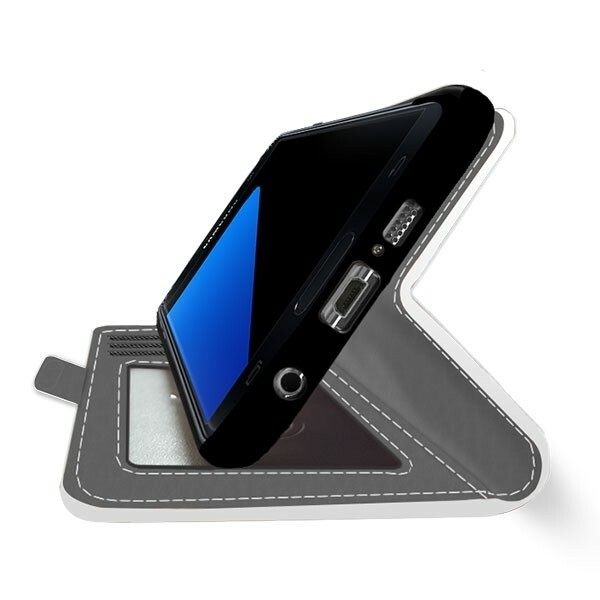 The wallet case is made of polished plastic and vinyl leather, which act like a second skin for your device! If a wallet case just isn't what you are looking for, then have a look at our other make your own Samsung Galaxy S7 cases! Steal the show with your design. 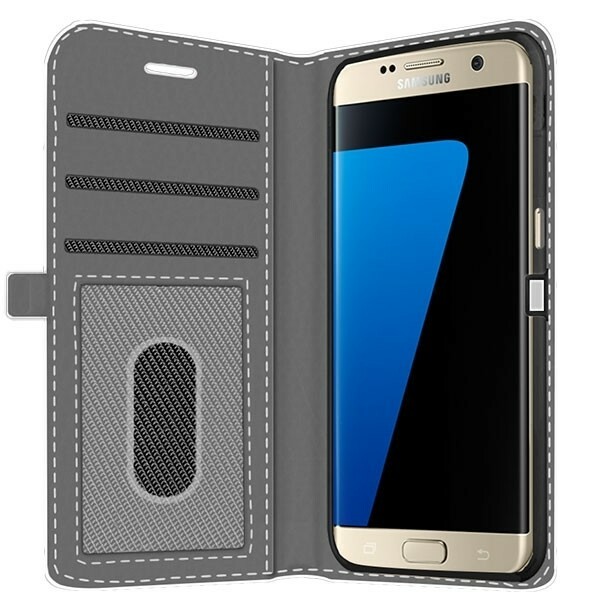 At GoCustomized, you can design your Galaxy S7 wallet case the way you want. Do you have a favourite photograph or a personally made sketch? Well you can easily upload them onto our customizer. Your Galaxy S7 cases are created in a very simple and user-friendly way. You can add text and modify it with various colours and fonts and edit your picture by rotating or zooming it. Don’t have a picture? Don’t worry! 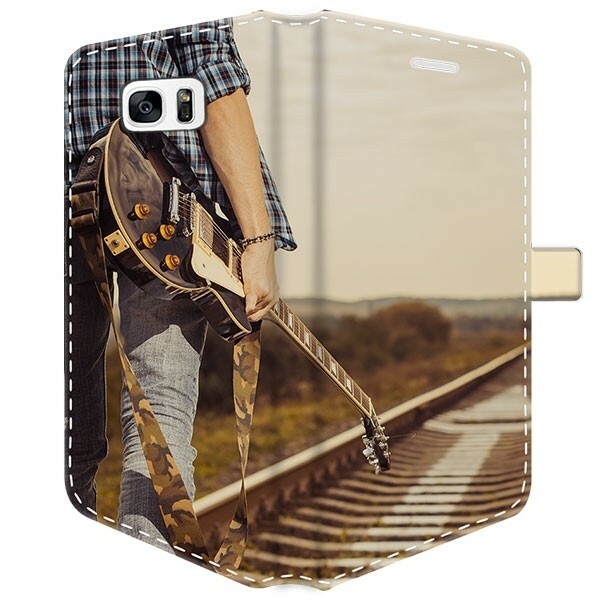 We have plenty of premade designs and colours that you could use on your case. The high resolution ink creates an amazing imprint on the entire case. However, keep the 3mm margin around all edges and recesses in mind!